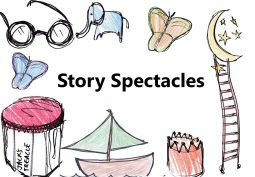 ‘Story Spectacles’ is a creative project for schools, exploring Charles Causley’s poems through drama and creative writing. The project has brought together Year 4 and Year 5 pupils from the Launceston Rural Learning Trust (Trekenner Community Primary, Egloskerry Primary and South Petherwin CP School). This lively and imaginative performance has been written and devised by the pupils in a series of creative workshops led by drama practitioner Beth Caudle. Join us and take a peek through Charles Causley’s ‘Story Spectacles’. You’ll find a world of fantastical characters and tales that will take you through the streets of Launceston and across the seven seas!